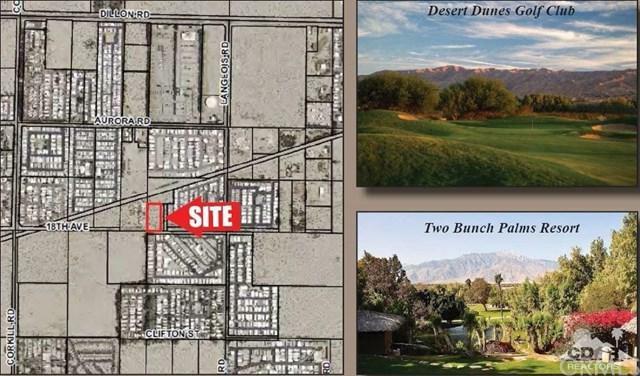 *Six parcels totaling 31.24 acres *Three parcels fronting Quail Trail *Just 2.5 miles from the renowned Two Bunch Palms Resort, an award-winning destination hot water resort offering best-in-class wellness experiences *Beautiful views stretching from San Jacinto Mountain across the entire Valley *Close proximity to Desert Crest Country Club & Desert Dunes Golf Club *Seller also owns 1.25 acres in the hot water area and would prefer to sell the properties together. 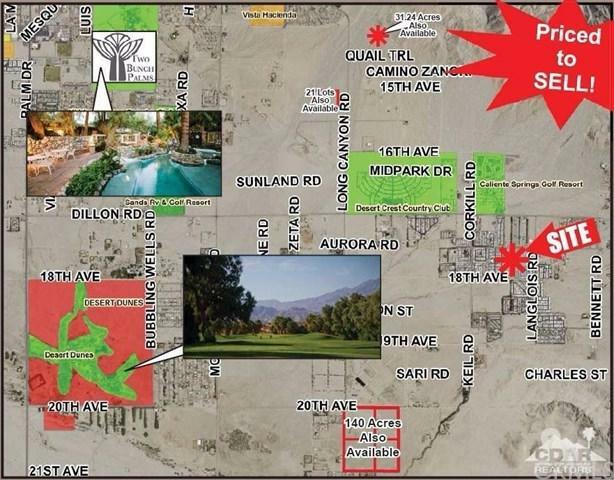 Sold by Susan Harvey of Desert Pacific Properties. Association Fee 0.00 Association YN No Land Lease Amount 0.00 Land Lease YN No Sewer None Special Listing Conditions Standard Subdivision Name Other Not Applicable-344 Zoning W-2 (Controlled Develo..